Share the post "Album review: THE BRUTALISTS"
The Brutalists were put together in LA by former LA Guns guitarist Mick Cripps and Quireboys’ bassist Nigel Mogg, and having regularly gigged throughout California, the band have now released their self-titled debut album. 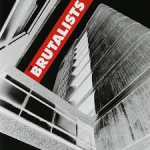 A great mix of influences that includes ska, reggae and some 60’s R&B sounds nicely blended with a bit of punk, a touch of pub rock and a pinch of sleaze, “The Brutalists” contains some clever British humour throughout the lyrics and you can almost certainly hear the Clash here and there. Opening track “I Don’t Believe A Word” has some ska like elements, with choppy guitars and is almost Yardbirds like in parts, whilst “Meet Me Halfway” has a feel that is reminiscent of the Beatles’ “Ob-La-Di” and there is more of that ‘60’s feel in “Enough Of Me” and “Nutter”. There is a great melody in “Talk of The Town” and “Know Your Value” could have easily slotted into an ‘80’s movie soundtrack, for me though the album’s winning trio are “Wishing I Was Far Away”, “Look Watcha Gone and Done” and “Jungle Nasty”, the latter of which has some rather excellent lyrics. This entry was posted in ALBUM REVIEWS, ALBUM REVIEWS (Mobile), All Posts and tagged album, Brutalists, classic rock, LA Guns, melodic, Mick Cripps, Nigel Mogg, pub rock, punk, Quireboys, review, rock, sleaze. Bookmark the permalink.